Hi Danny, it would be great if at some point you did a children’s drawing course because there are not many of them around and I think it would really benefit a lot of kids. Very excited about the new course yet I cannot sign in and enroll if you guys won’t remember me. This is a whole new system, Robert. We will remember you from here on but your enrollment at Ruzuku doesnt work in the new SkoolHouse. Please visit sketchbookskool.com and you will learn all about how the programs work. I hope to see you in klass! WooooHooooo! As soon as the email message came on this morning I signed up for Stretching! Yes! First kid through the Skool House door! LOL! Yes, I had the same problem with trying to sign in, so I just did the full sign up and at some point it remembered my email address and from there on it worked! Keep trying Robert! Sorry you are having a problem. Let me clarify. Your login is for Ruzuku, the platform we are migrating away from. Our new system is completely a fresh start. To enter our exciting new Skool House, you will sign up again, creating an account, etc and you will be emailed a new user ID and password. Sorry for the confusion and thanks for being an ongoing part of our community! Great,but I and many others are still waiting for Bootcamp. Ivan, me too! Fortunately, Boot Kamp will be back later this spring for all those who have completed Beginning, Seeing and Storytelling! Hi Danny, Trying to sign up for sketching and CANT!! Help!! I have logged into the site and can see my old classes but then it tells me to relog on to pay for the class…and then it wont let me. I have emailed ruzuku and waiting for them but I am heading out of town in the am and would like to get this done before I go…thanks!! 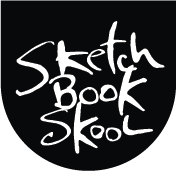 There are now two places where Sketchbook Skool classes exist. There’s the old one on ruzuku. And there’s the new one on Sketchbook skool house. Your old classes are still there on Ruzuku and you can still go back to them and look them over whenever you want. But your new ones, all the ones from now on, are on our new platform. Two separate places, two separate IDs, two separate passwords. But both open to you 24/7 to help you learn and be inspired. To join the new course, you need to enroll at our regular website, sketchbookskool.com, just like always. But then you will need to sign up for a new account on our new platform. A brand, spanking, shiny new account. This process is easy and simple. When you enroll you will get a new user ID, a new password and new URL to visit to find the klass. If you sign in to Ruzuku, you will not find the new course. It’s on the new skool house. Enjoy your trip and see you in klass.